Two different ones so that he can change it once in a while (and maybe wash it). 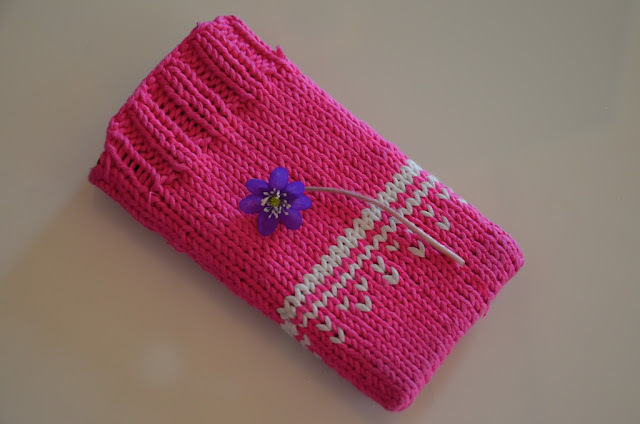 These are also knitted with 2 mm needles using cotton yarn. 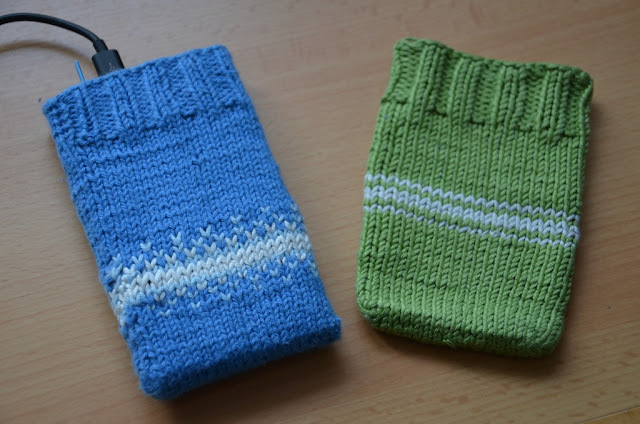 I actually plan to write down a pattern for this, as I've already promised to knit yet another one of these for a third Lumia phone. The cover-thingy isn't actually at all difficult to make, but perhaps there's someone out there who would still want to have it written down. So maybe you'll hear more about that later this summer! Love these! 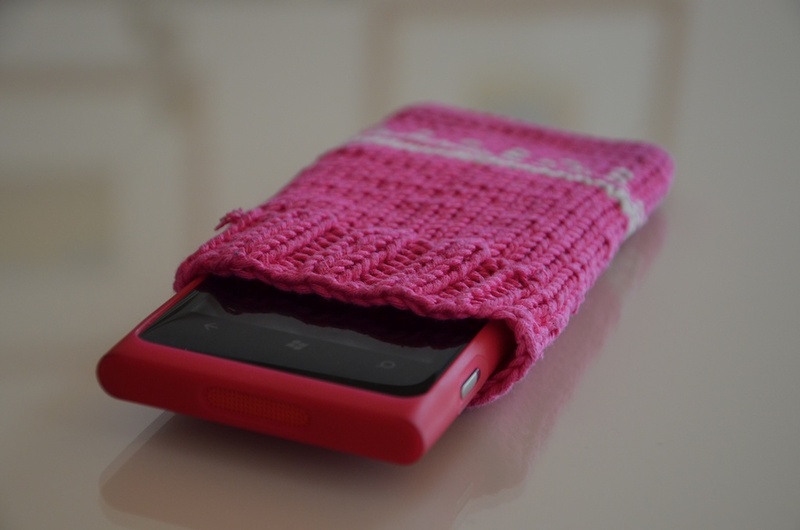 Colour coding is fun and what I've heard about these touch screens, they do need protection! Thanks! :) yeah, I actually really enjoyed making these. They were quick, yet fun.